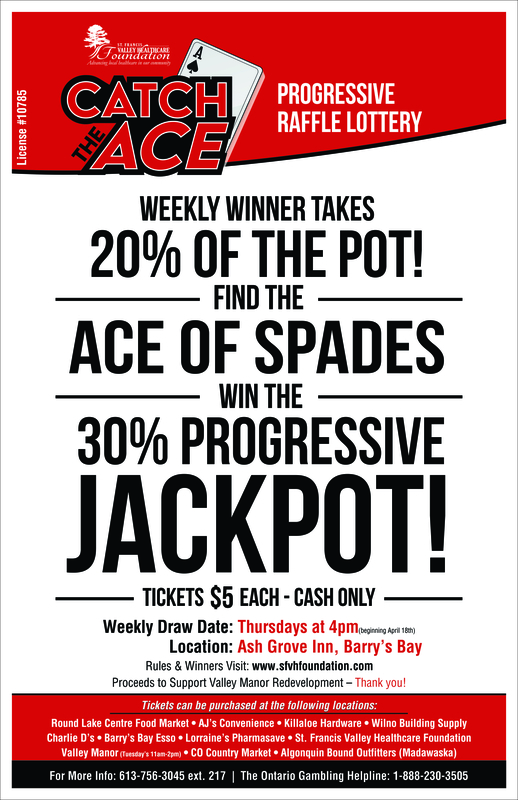 For more information on how the Catch the Ace Progressive Lottery works please click the button below. 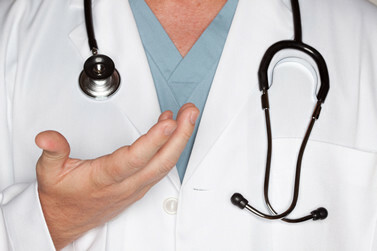 Want to support local healthcare at the Hospital, Hospice Palliative Care or Valley Manor? Check out their wish lists of items needed to help them care for patients and families! Join the Club! The St. Francis Valley Healthcare Foundation is currently running a membership drive for our St. Francis Circle Monthly Giving Club. Consider joining the club at $15/month and help us purchase equipment for our hospital! For more information about becoming a Club Member, please contact the Foundation at 613-756-3044 ext 217. 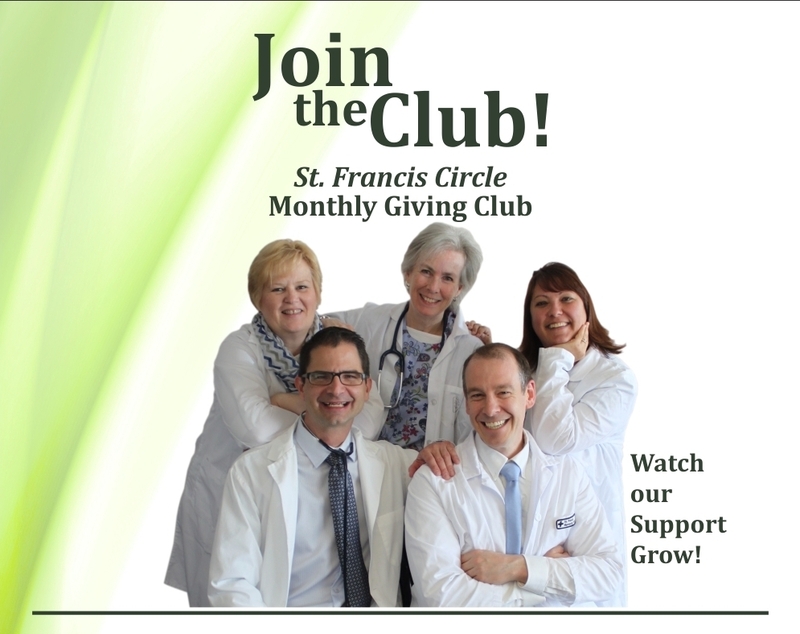 Click here to become a member of the St Francis Circle Monthly Giving Club! Have you got your copy yet? This amazing CD featuring Sister Rosenda and the Kelly family is a wonderful collection of music and special tribute to Sister Rosenda. On sale now for $20 each. 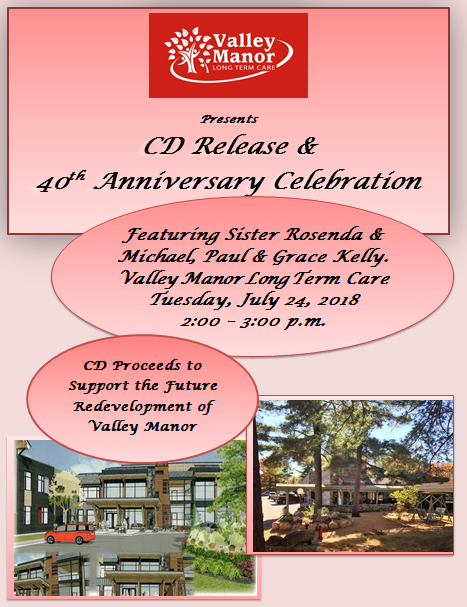 Pick up your copy today at the Valley Manor, Pharmasave or Hospital Gift Shop. If St. Francis Memorial Hospital holds a special place in your heart because of a personal experience or that of a family member or friend, we would love to hear from you!